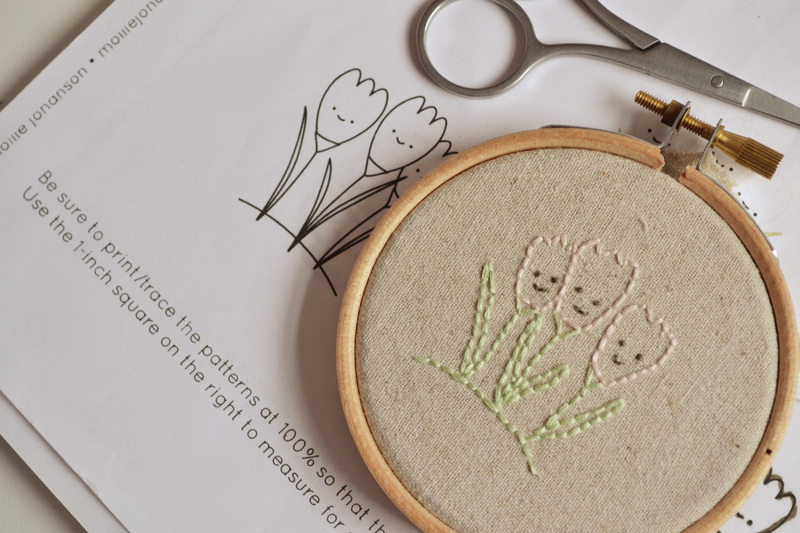 I recently signed up to a Spring Stitching Club from Wild Olive. 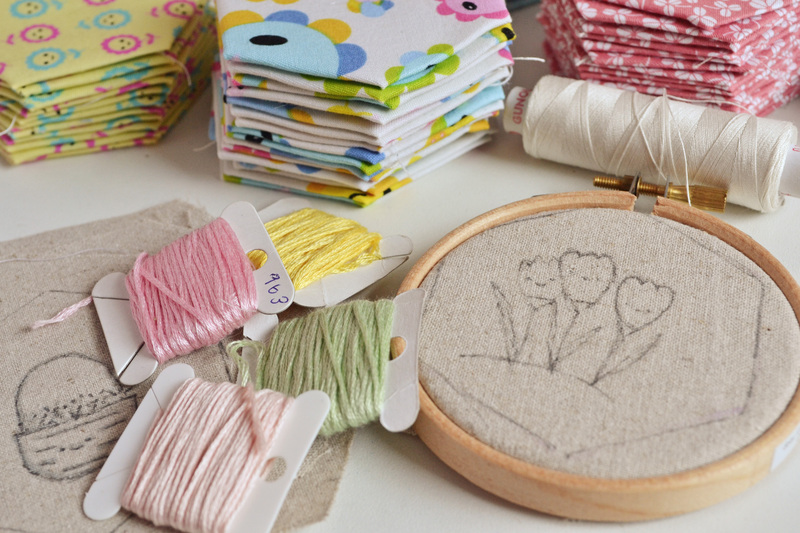 Each week for 13weeks an embroidery pattern with a spring theme is emailed to you to be downloaded and stitched onto a fabric of your choice, which will become a patchwork lap quilt. The quilt is made up of my favourite patchwork style to do hexagons. 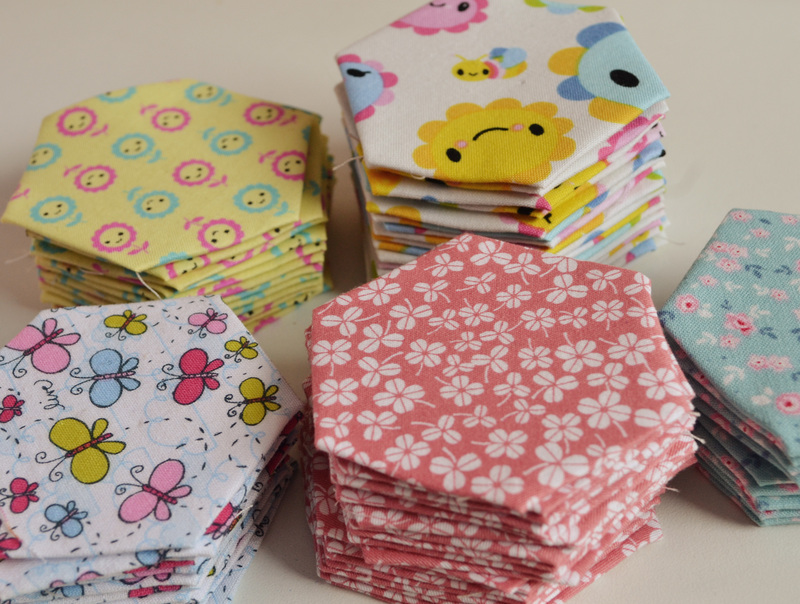 Each hexagon is made by hand using the English paper piecing method. These are some of the hexagons I have made already. In the middle of each hexagon flower will be one of the embroidered hexagons. Each pattern comes with clear instructions and colour choices to use. It also includes a mini tutorial on how to make the hexagons if you have not made them before. I was late to join the party so I have a lot of catching up to do, but I’m really enjoying this project, and making something that is for me and not the shop. It’s also quite exciting waiting for the email and finding out what is next to be stitched! I will be posting my progress here so you can see how I get on. If your into patchwork and embroidery I highly recommend this project $8 well spent I reckon, and there is also a Flickr group to track other peoples progress too! 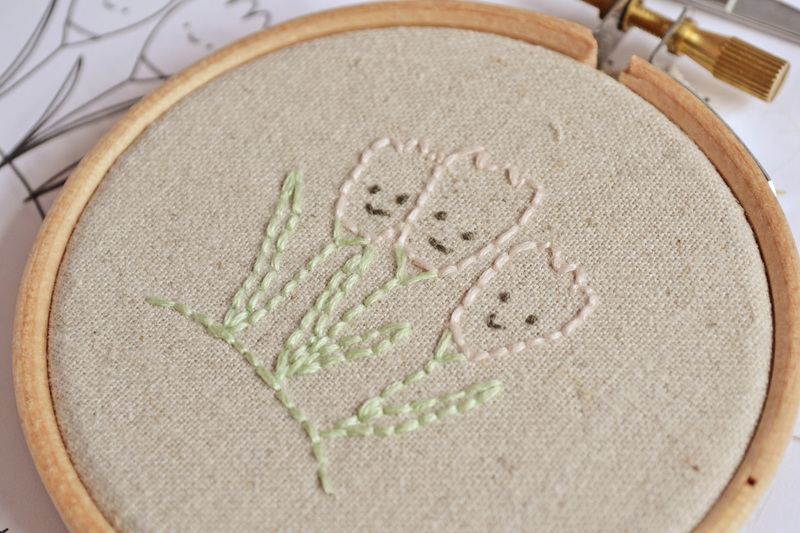 Very cute stitchings ;) love the flowers!